Welcome to A Life Unexamined! My name is Jo, and I write from Australia. I’m a feminist and queer activist, and an aromantic asexual. I’m an ancient historian and archaeologist by training, and particularly interested in feminist and women’s history (not always the easiest thing in my field!). I’d like to do my PhD in Roman women’s history one day, but for now I’m working elsewhere, trying to do my bit for Australian society. I’ve been blogging since 2011, mostly focusing on asexuality and visibility work, queer stuff, feminism, and ancient history. I’m now retired from this blog, but you might see me around from time to time in other places. I speak to the media and give workshops on asexuality and intersecting topics. For past media appearances, have a look on this page. I am also a contributor to The Asexual Agenda, a collaborative blog furthering upper-level discussion on asexuality and related topics. I occasionally guest post on other blogs. If you’re interested in talking to me or want to get in touch about something else, feel free to email me at jo.alifeunexamined@gmail.com. Thanks to scientificfemanomaly for the nomination! It wouldn’t be fair to say I understand what you rant baout… Anyway, I like your being passionate about things. D.
looking forward to more rants! 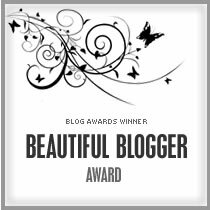 I’m not sure if you are a big fan of blog awards or not, but I nominated you for the beautiful blogger award. I really feel like I learn a lot from your blog! Nice Jo, asexuality is not well understood or recognised as a sexual orientation. congratulations on recognising your orientation so early in life. I’m asexual too and it took me 50 years of angst to realise it… Good luck with your future endeavours.. Thanks! I hope I can help spare others of that same angst. I only did it for a few years – 50 must have been tough! I think it is a wonderful post and marvel that you and I, two females of very different ages and experiences, should agree on so much. I am in the latter part of my life and wish you best of luck with your ambitions. Our only difference is that, while I agree with you that parenting is important work, I do not think it is like working in a bank. I contend that we should look more at the old concept that raising children is the job of the village and should have an interactive element, not just personal help for parents in an exclusive role. Anne, thank you so much for the lovely comment! I’m very happy to hear that we agree on so many things. In regards to parenting – I’m not sure it’s necessarily everyone’s job, but it’s certainly a concept that could do with some expanding on and some more support in the eyes of the world! Hey Jo. I love your blog. It inspired me to start my own.